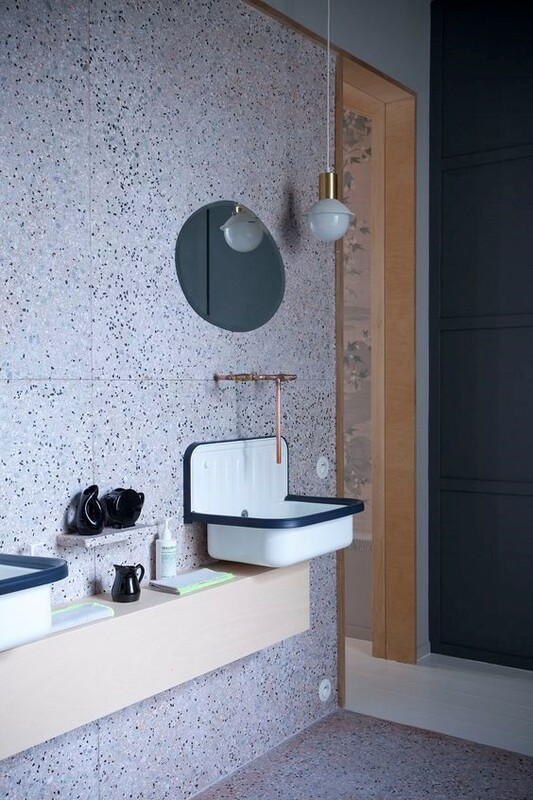 Over the past years, terrazzo tiles have been making its comeback. This material was commonly used for schools, stations, and office buildings during the 1970s. Lately, it has become a premium choice for upscale residential and commercial projects. We all know that classics can be revived. Terrazzo is an old classic. 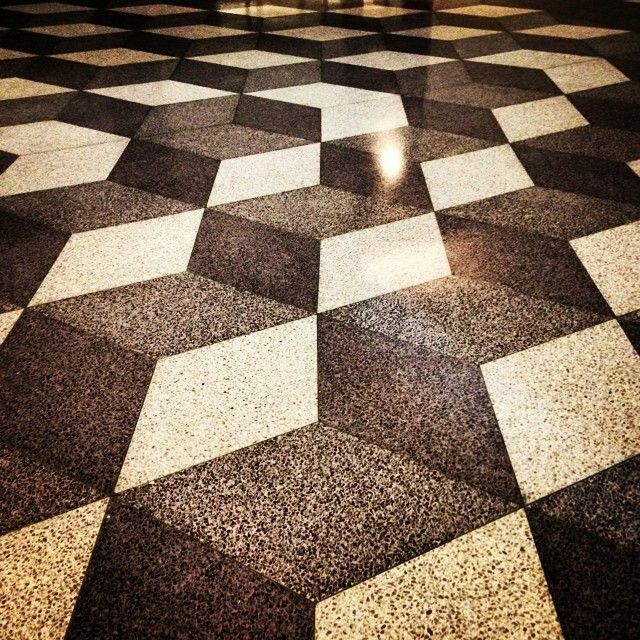 Terrazzo was first used during the 15 centuries in Venice Italy. This was considered a poor man’s marble back then. Builders used composite chips of marble, stones and cement for their floors and patios. These past years, terrazzo design has become more elegant. The polishing techniques have improved a lot that it helps elevate a project to have a premium design. The material has been used as table-tops, walls, plant box, etc. Everyone is going crazy with terrazzo. 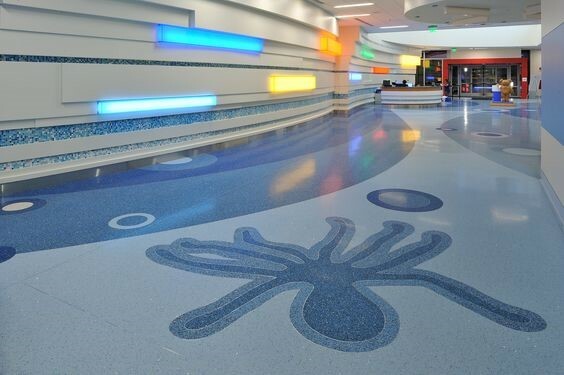 With the introduction of in-situ terrazzo, you can have beautiful seamless floors. The emblems created from terrazzo tiles are truly breath-taking. Advanced geometric patterns can rival the finest etching during the Renaissance period. 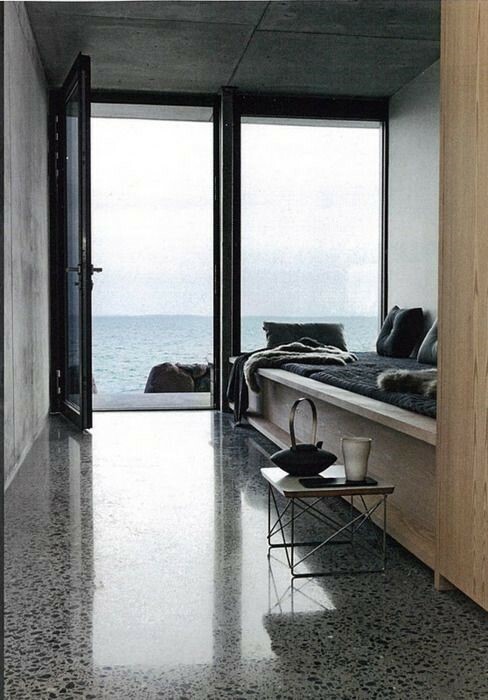 Using black, grey and white terrazzo, this floor created this awesome design. This floor can be considered an artwork itself. It could be perceived as a stairway. It can also be perceived as a cube having different shades on each side. We love the interior of this bathroom from France. The bronze faucet is similar to the one used during the 1970s. The sink added the 50’s feel to the environment. The designer combined elements of the 1950s and contemporary design making a very good upgrade to a classic look. We all know that modern interior design is really hot nowadays. People love the minimalist and fine lines that composed it. Modern design makes a space cleaner and less distracting. Terrazzo is a key component for modern design. Using grey tiles, it blends well with wood, aluminum, and black metal. We mentioned earlier about having seamless floors using terrazzo insitu. This room in a beachhouse is an example of this. Applying urban interior design, the polished finished gives it an elegant look. 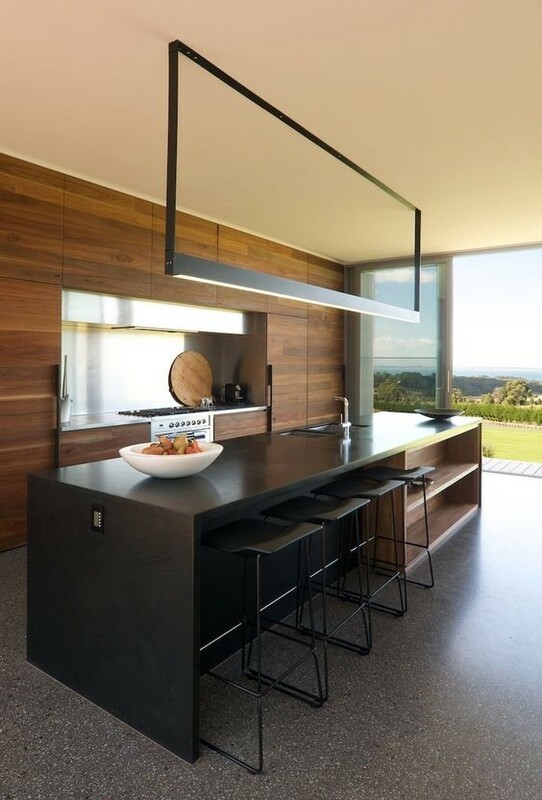 The mix of wood, bare concrete dark metal enhances the relaxing feel of the room. Another example of terrazzo insitu. 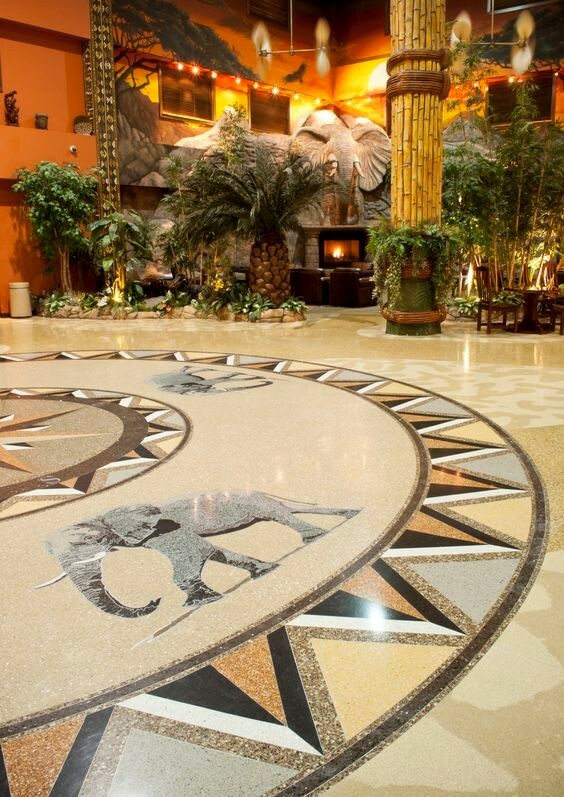 This is a photo of a lobby in Kalahari Resorts. Observe the fine details of the elephant and the emblem. Terrazzo is very flexible that floors like this can be created. It helps commercial establishment stand out for guests and customers. Before, terrazzo was only used as flooring and patios. Nowadays, the material has been used as table tops, furnitures and decorations. Because of the beautiful tones, terrazzo works well in many popular interior designs: modern, contemporary, urban and etc.